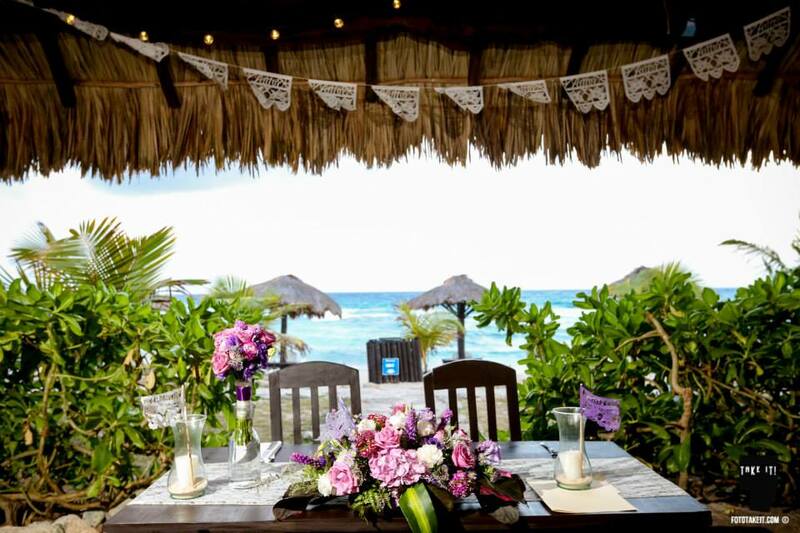 The natural beauty of Punta Venado gets us every time. 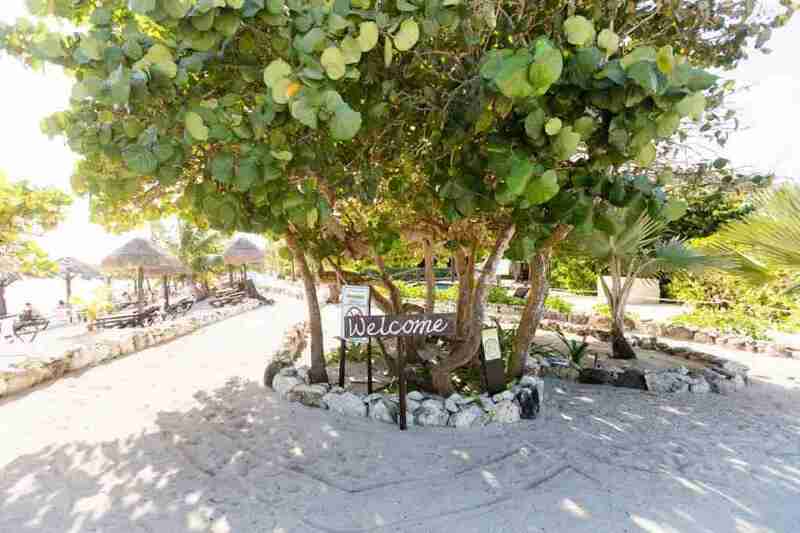 It’s always special to make the drive through the jungle in order to reach the stunning beach waiting on the other side. 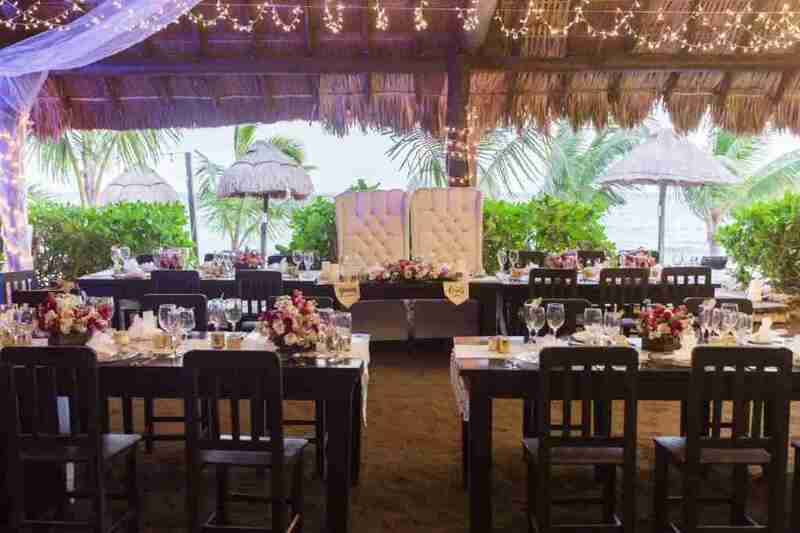 Blue Venado Beach Club is perched right on the sand and is a wonderful venue for anyone looking for a rustic/beach chic wedding. 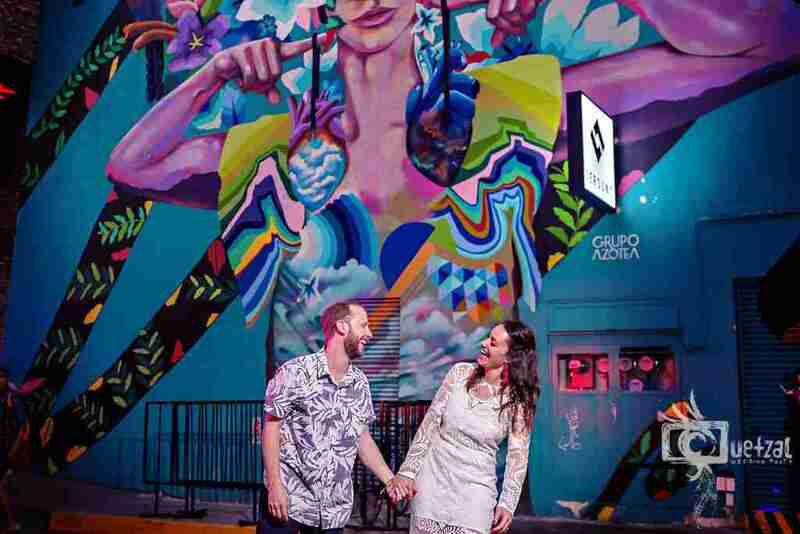 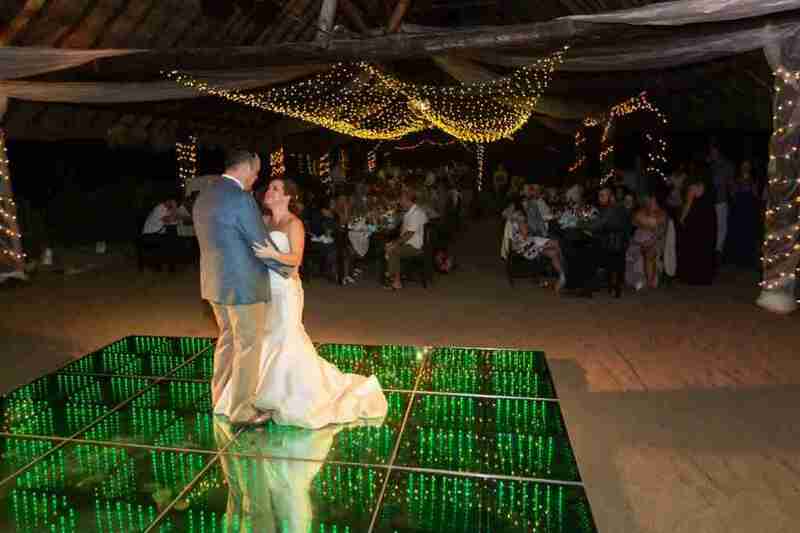 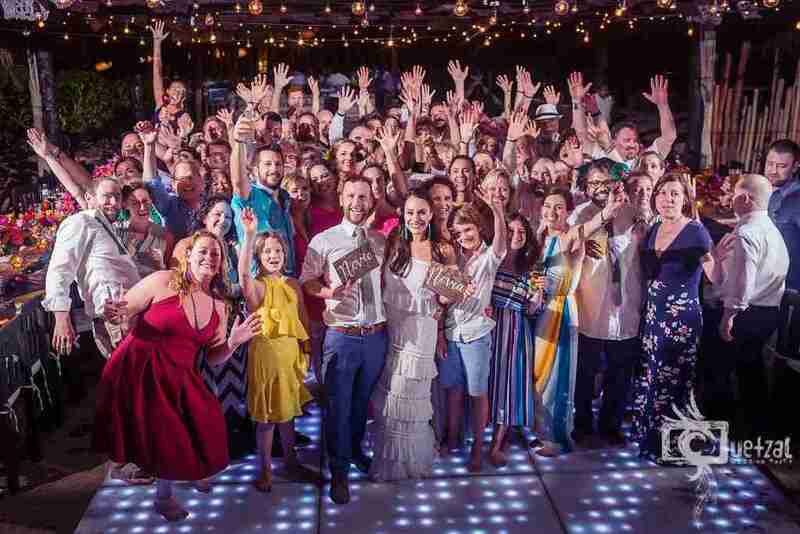 This weeks couple, Lauren and Manuel, shared our feelings about this special space and decided to invite 55 of their nearest and dearest for their destination wedding celebration. 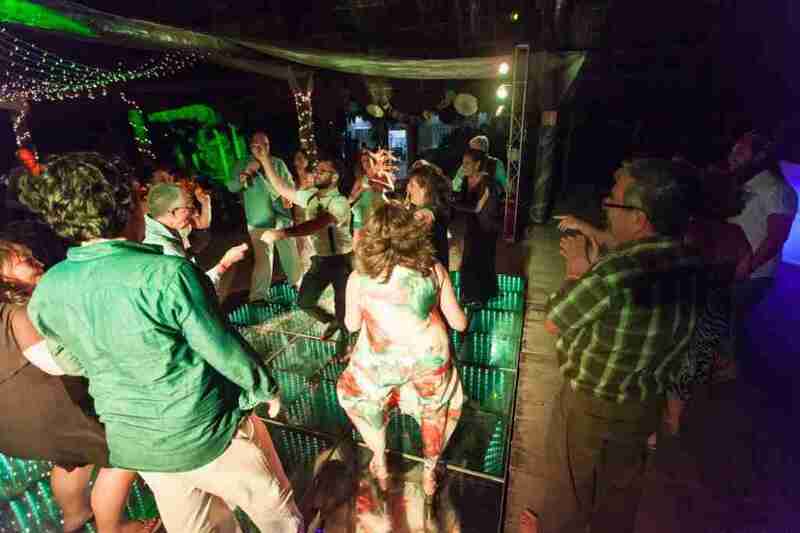 The group loved the open palapa layout and dancing in the warm Mexican breeze! 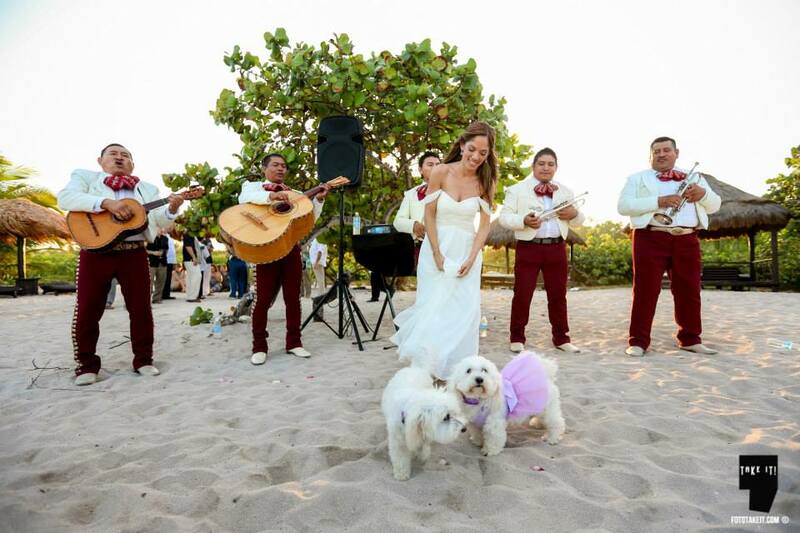 Thanks to our wonderful couple for having us by your side on your big day! 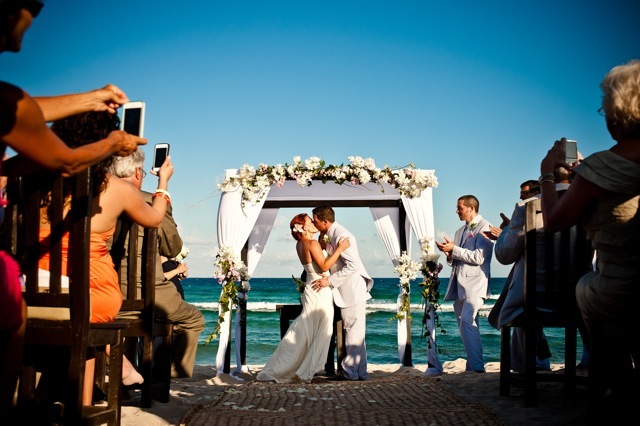 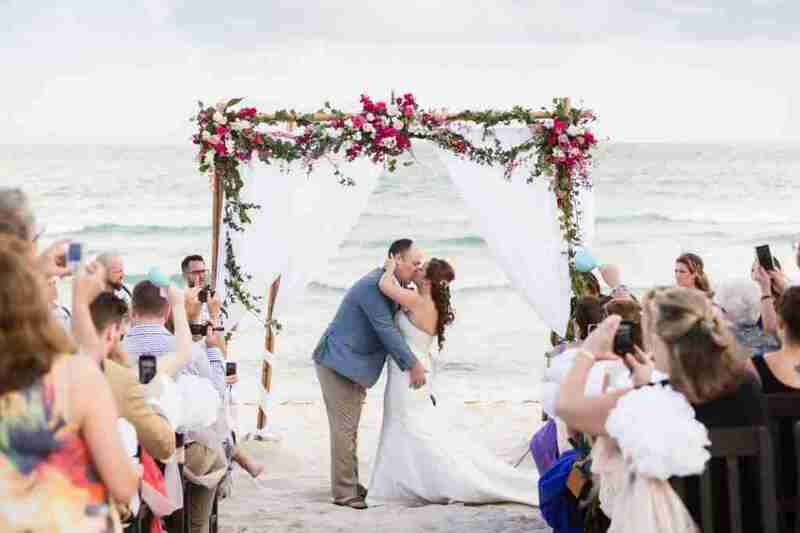 Tyler and Drew wanted a classic beach wedding, so naturally they fell in love with Blue Venado as soon as they laid eyes on it. 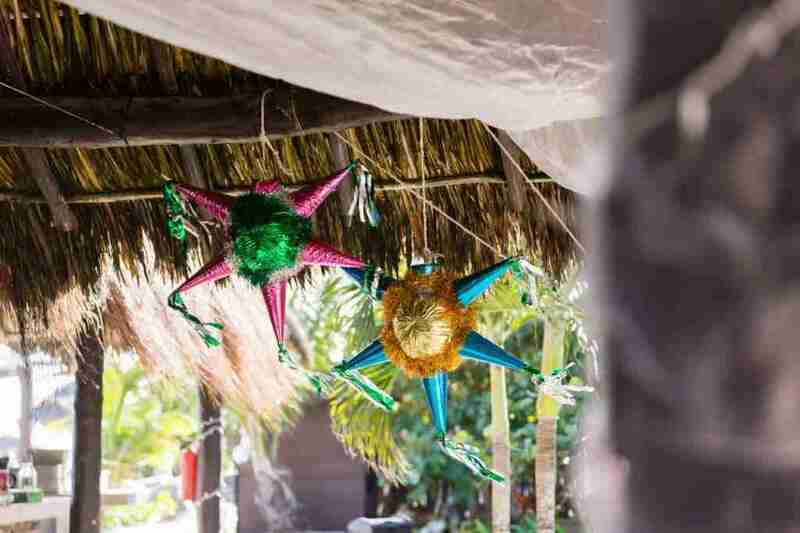 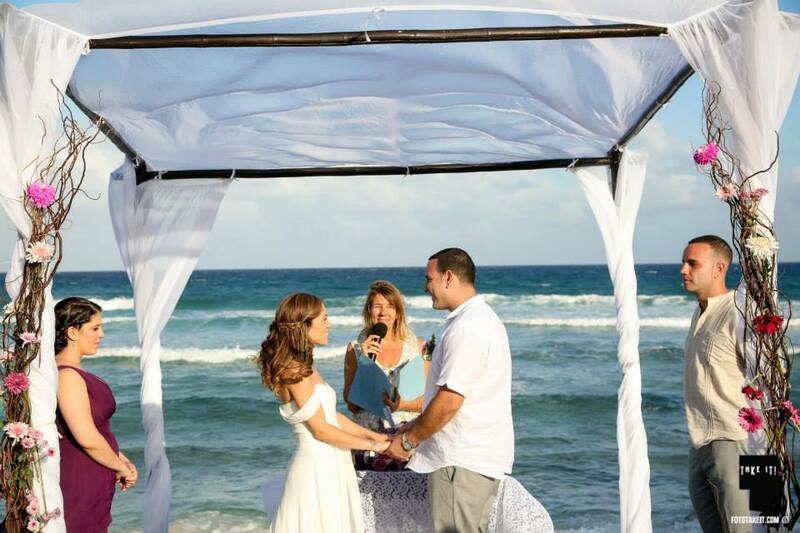 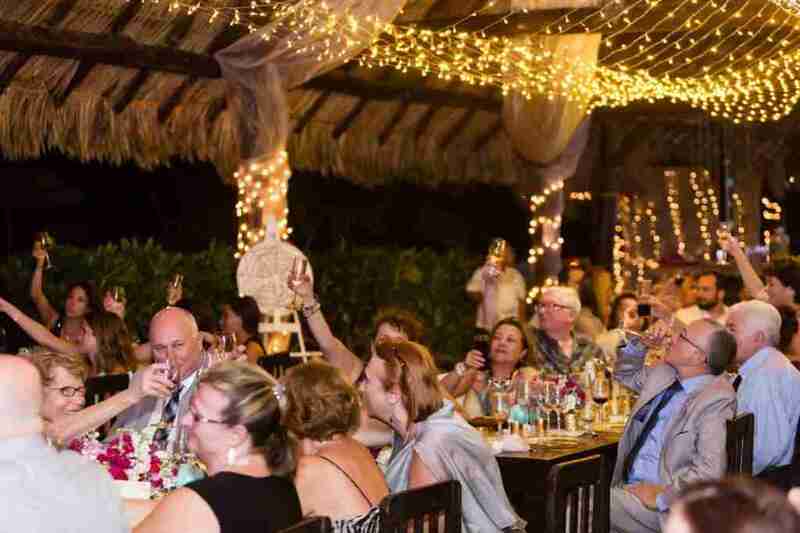 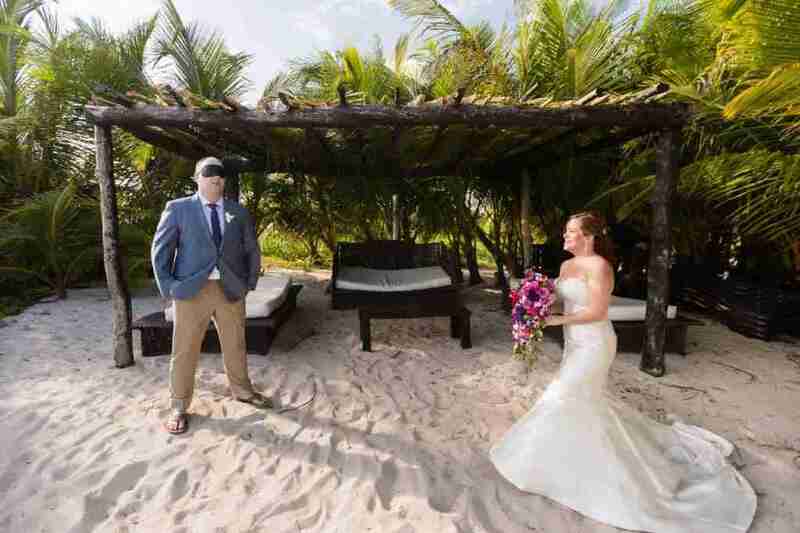 With it’s giant, open air palapa bar/reception area and a stunning and secluded beach all to itself, it’s a perfect location for anyone wanting a beautiful, beachy celebration! 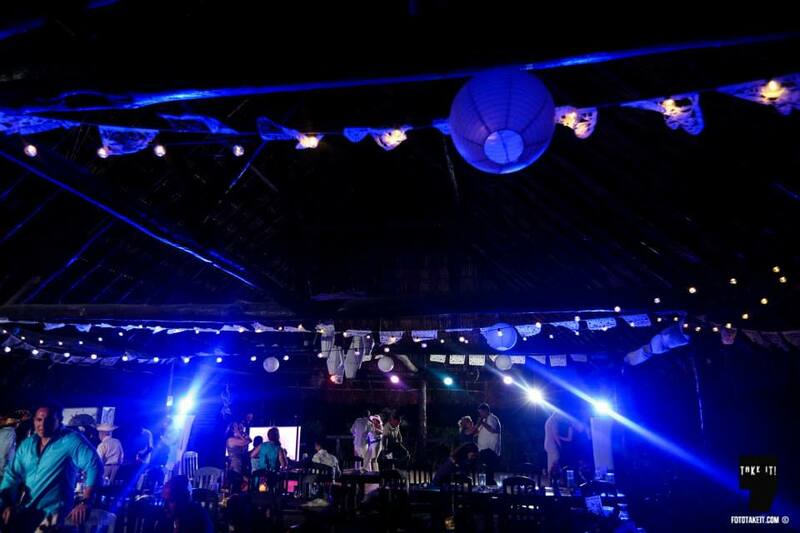 Minimal decor let the venue shine! 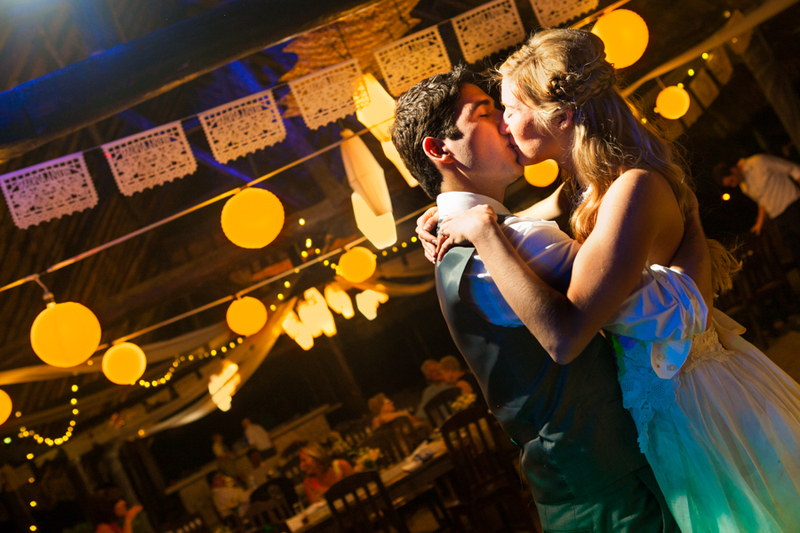 Pops of white and lace were a perfect match for the natural, rustic look of their venue. 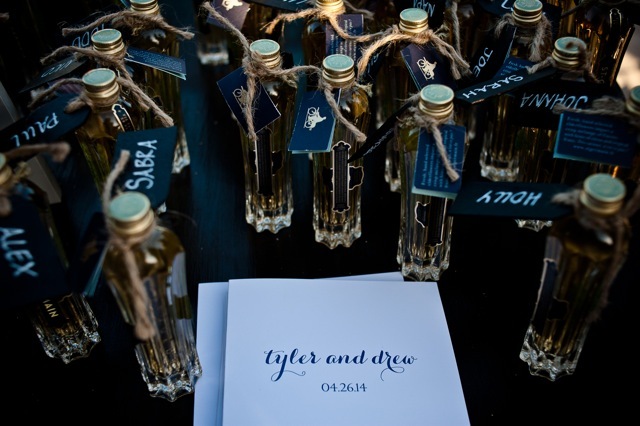 Thank you Tyler and Drew for sharing your big day with us! 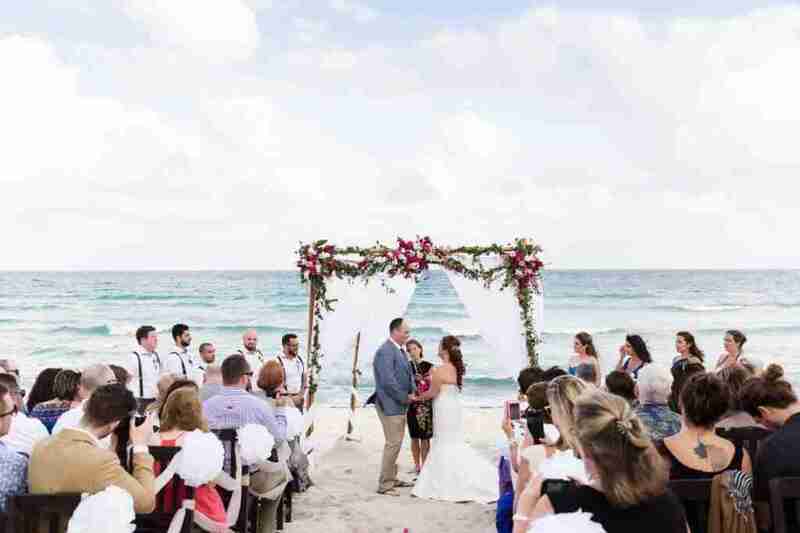 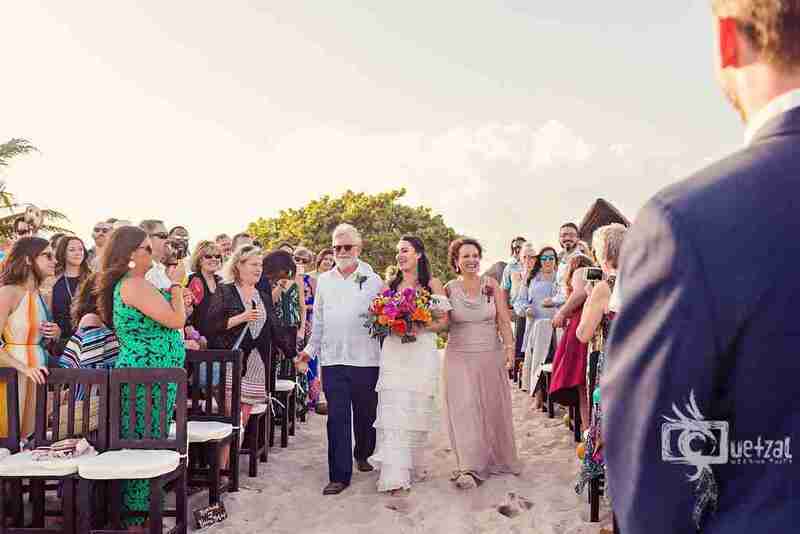 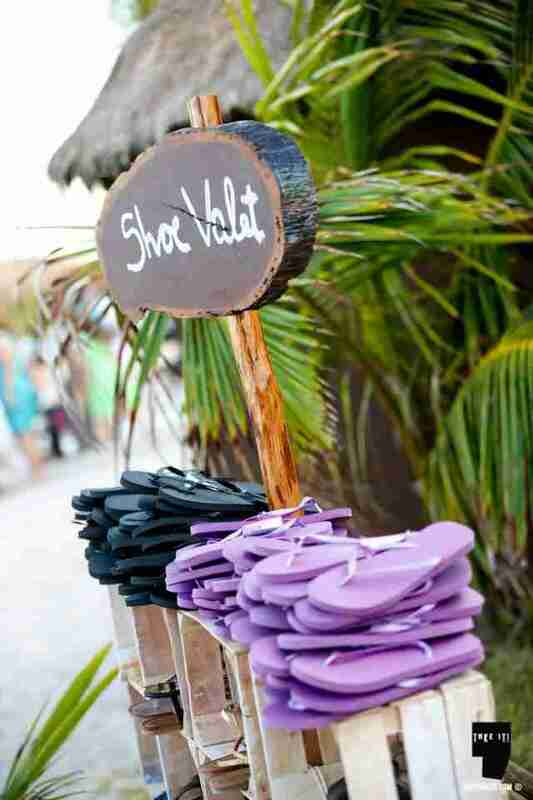 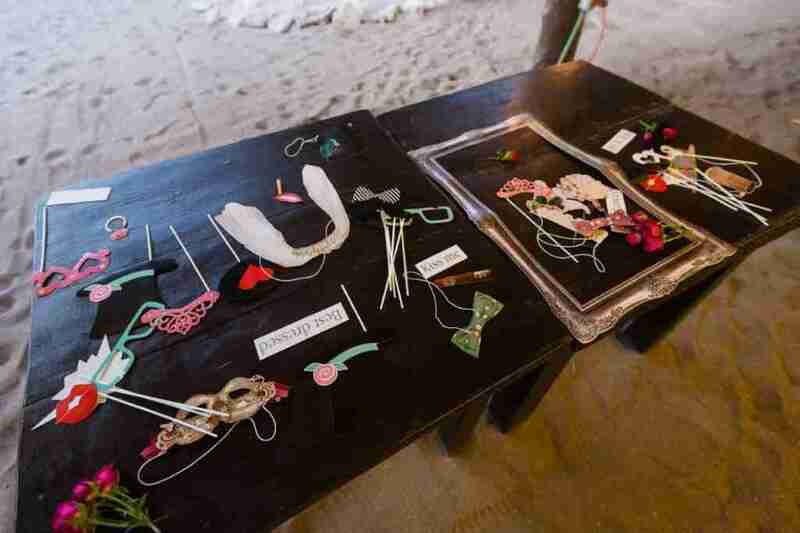 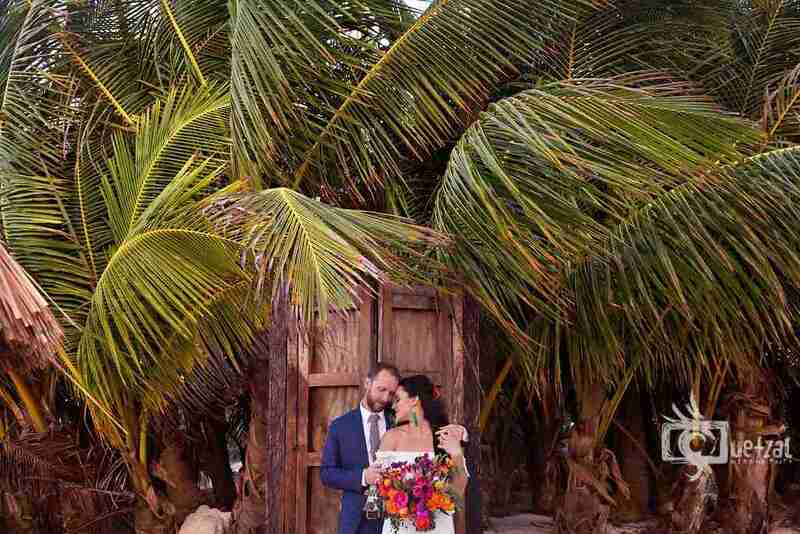 A little rustic, a touch of bohemian and a splash of Mexico makes this beach wedding at Blue Venado Beach Club the beauty that it is! 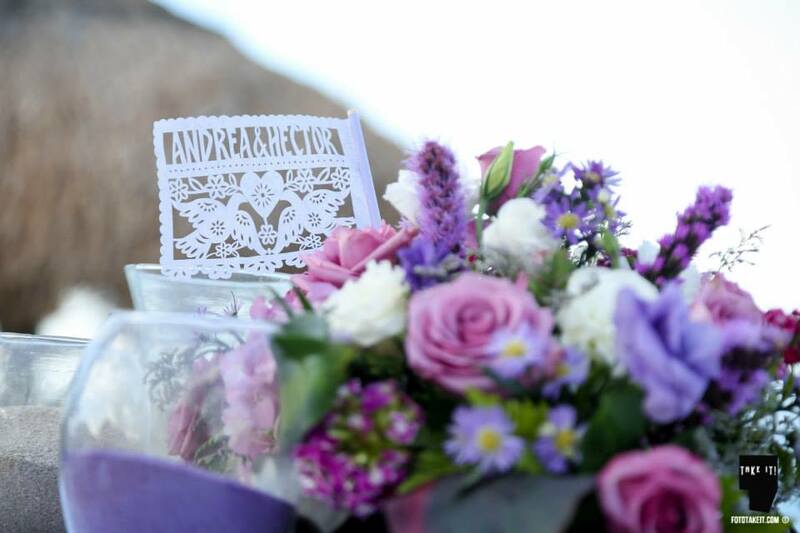 Andrea and Hectors intimate celebration was true perfection. 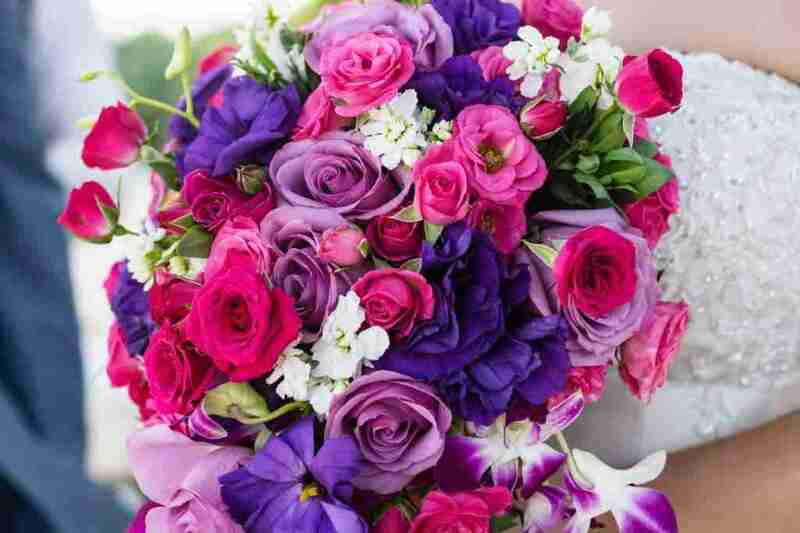 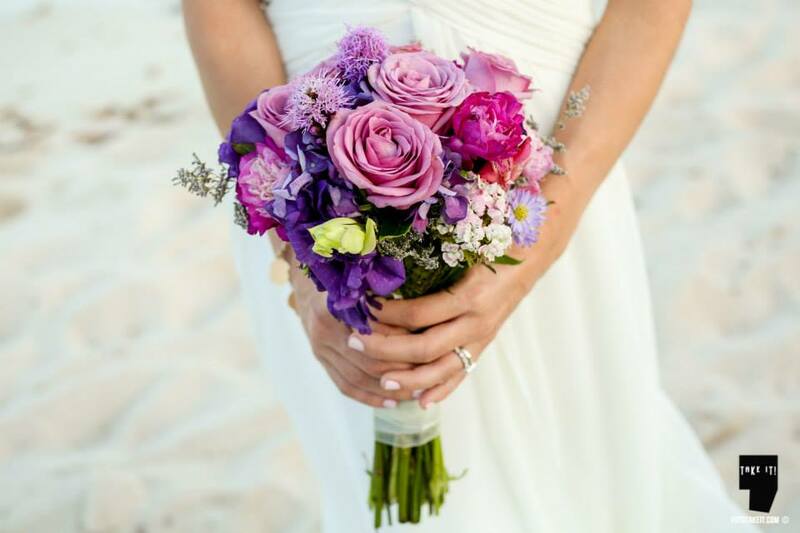 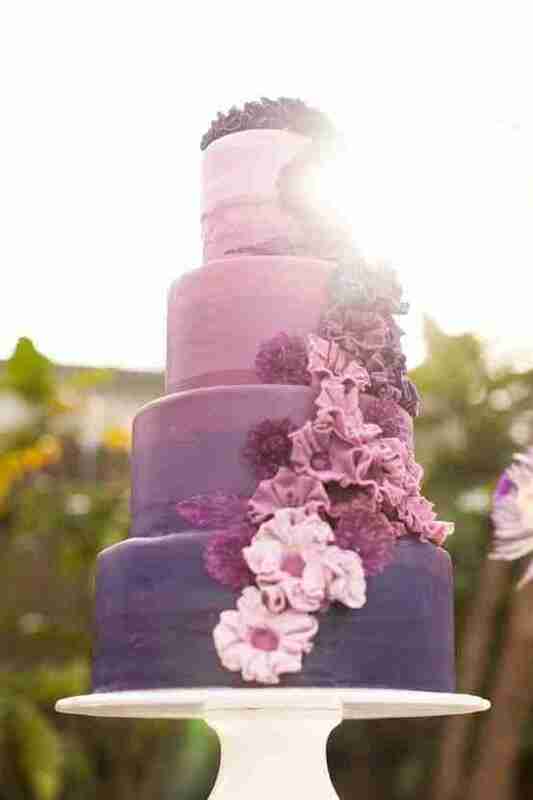 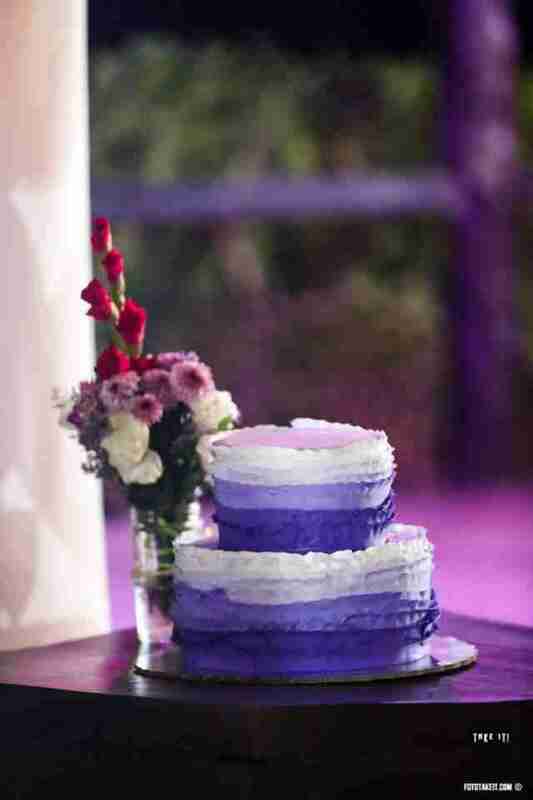 Pretty purples, gorgeous flowers, festive, whimsical decor and a happy couple surrounded by their nearest and dearest. 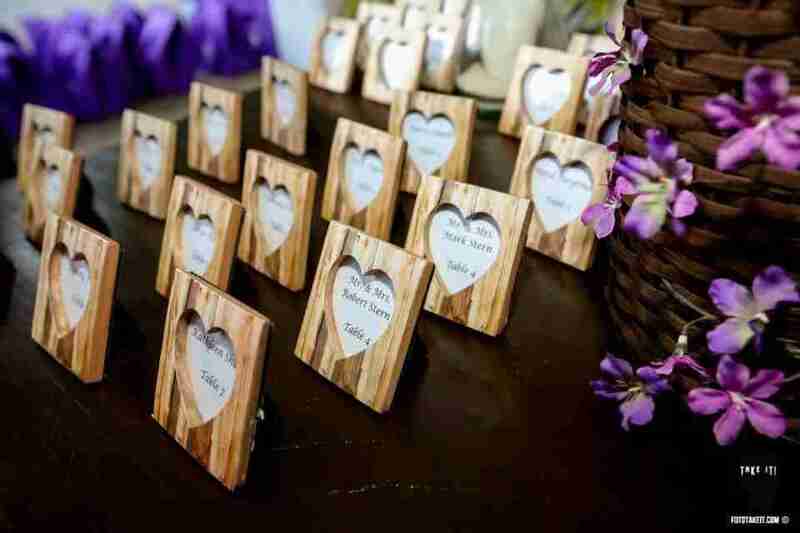 Love was all around! 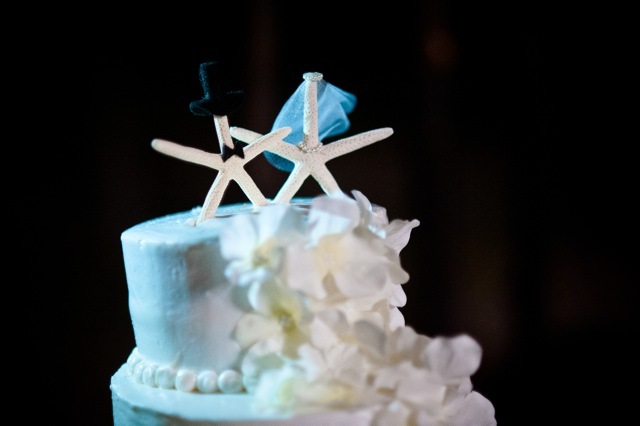 The ceremony was sweet, followed by a delicious meal and stunning cake. 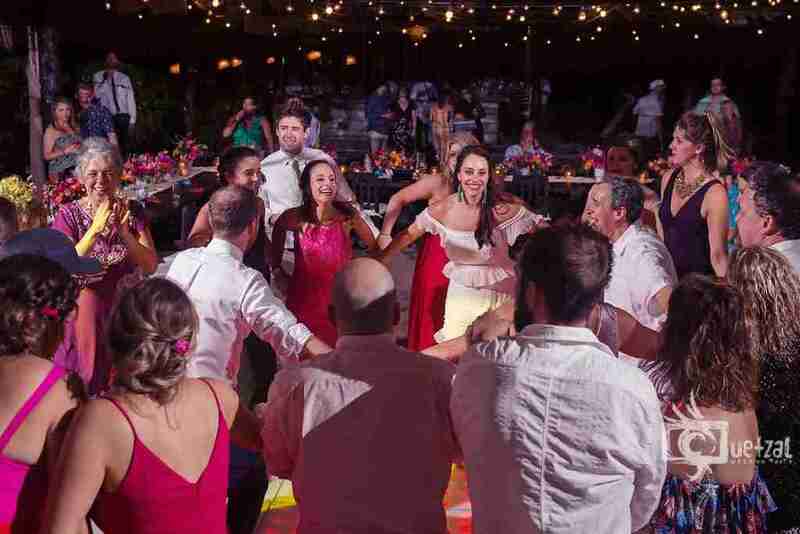 The party got started when the costumes came out and everyone let loose on the dance floor. 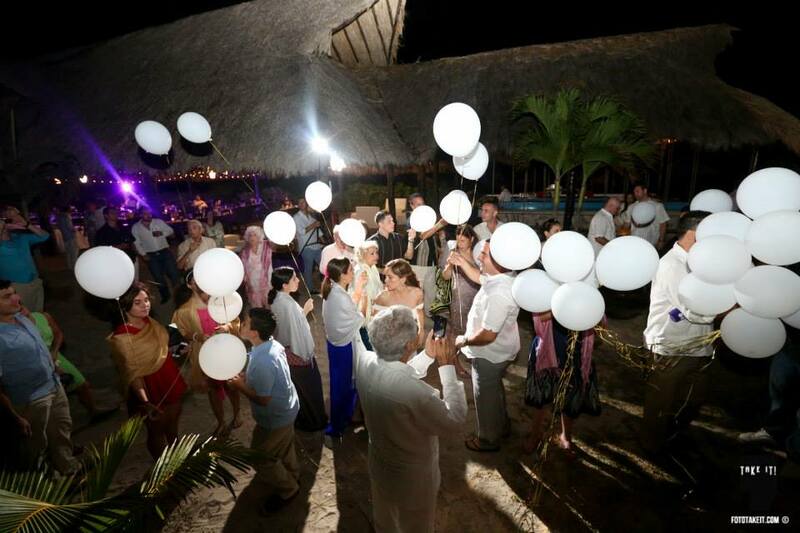 And for a special touch, a moonlit balloon release! 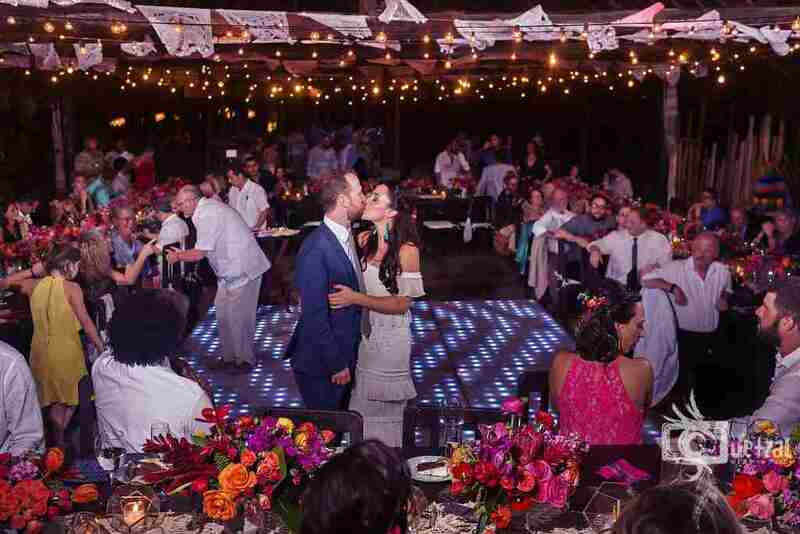 How cute is this couple?! 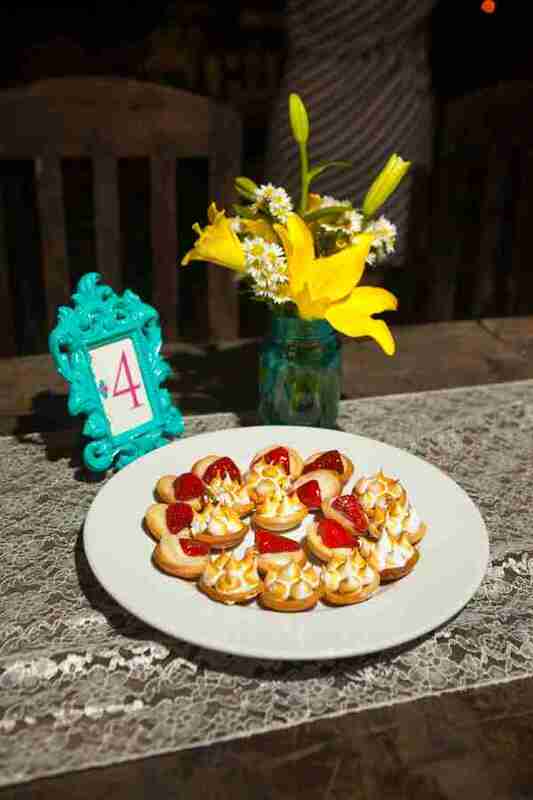 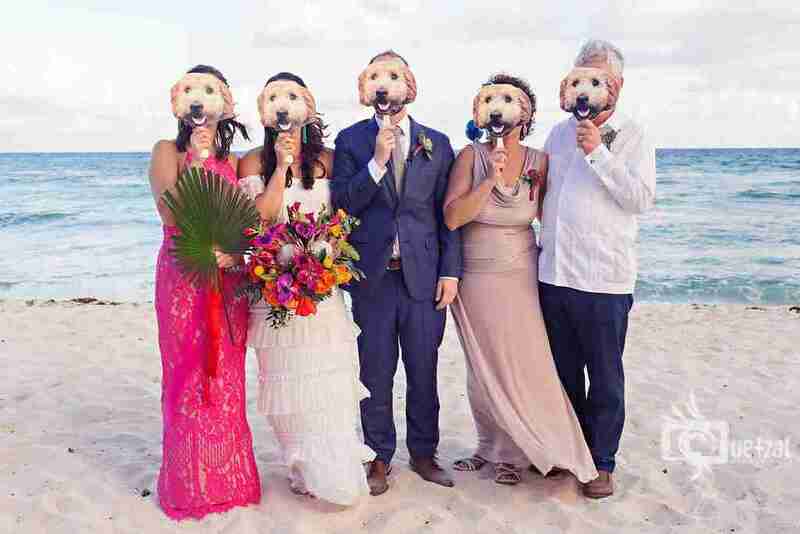 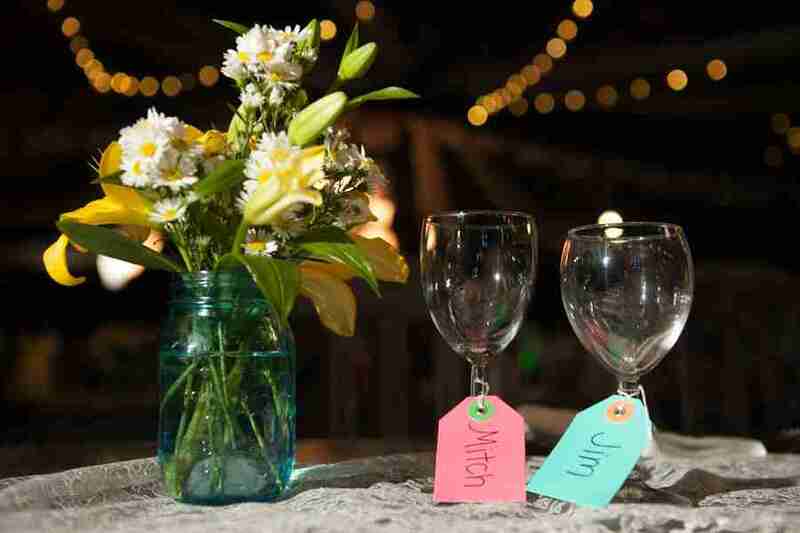 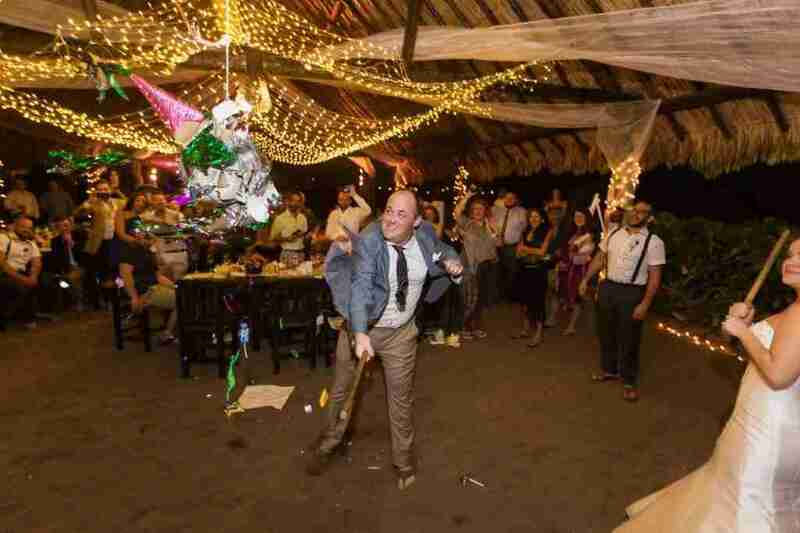 Seriously, is this wedding not the most adorable thing you have ever seen?! 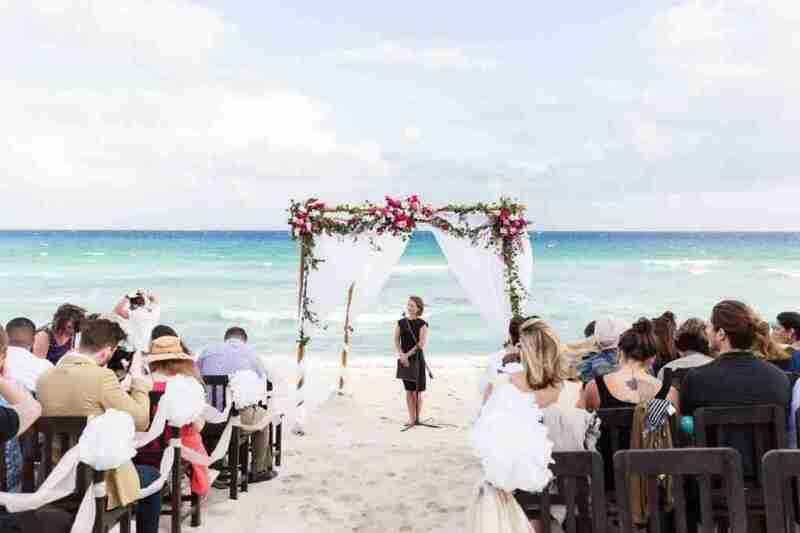 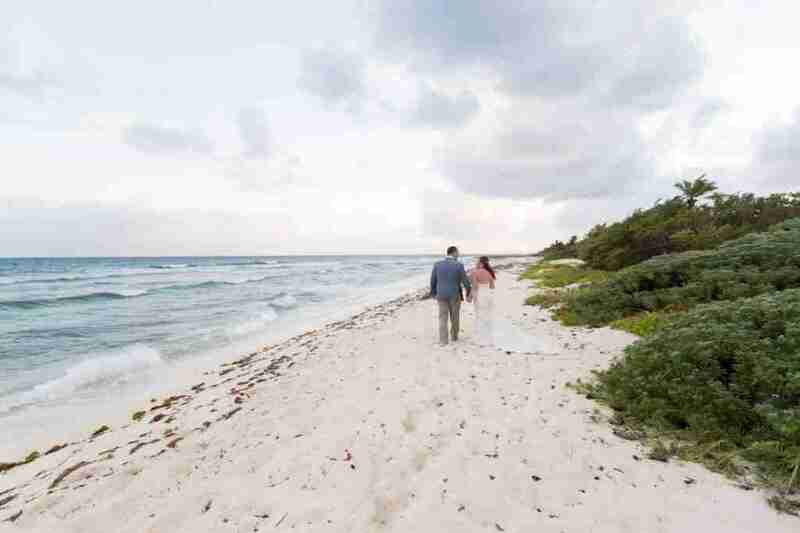 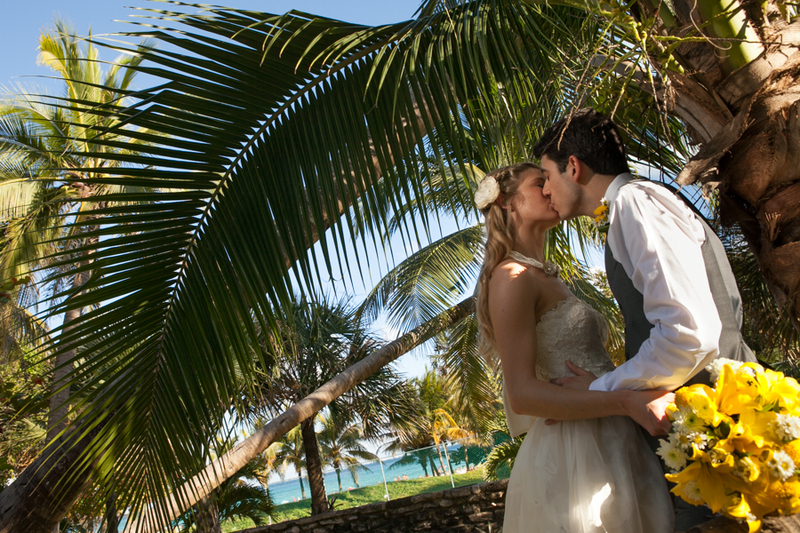 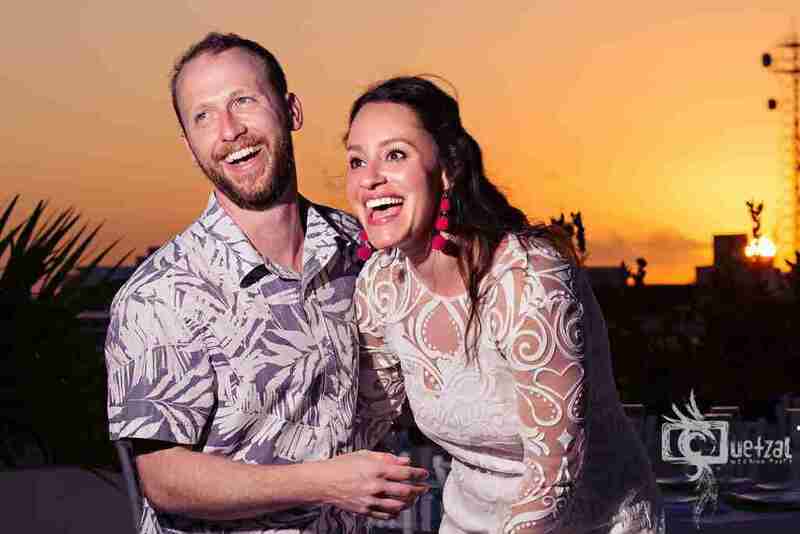 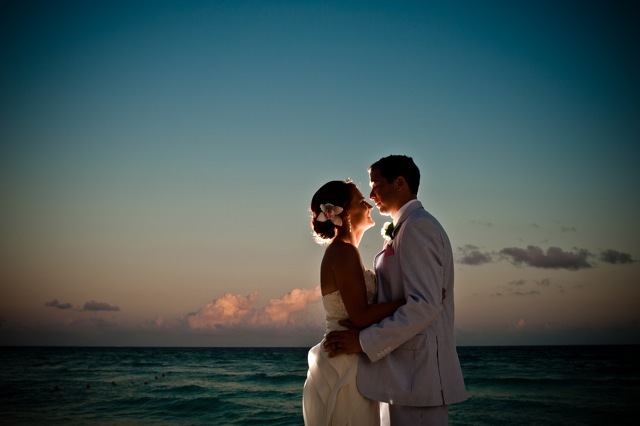 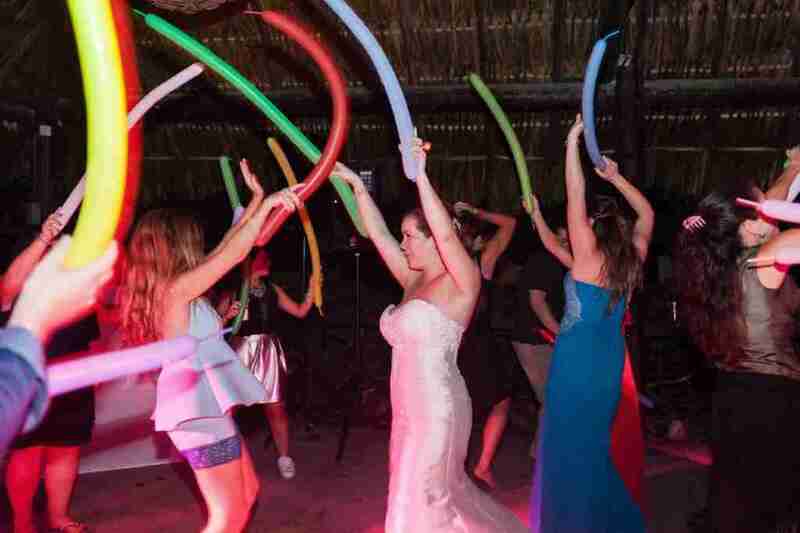 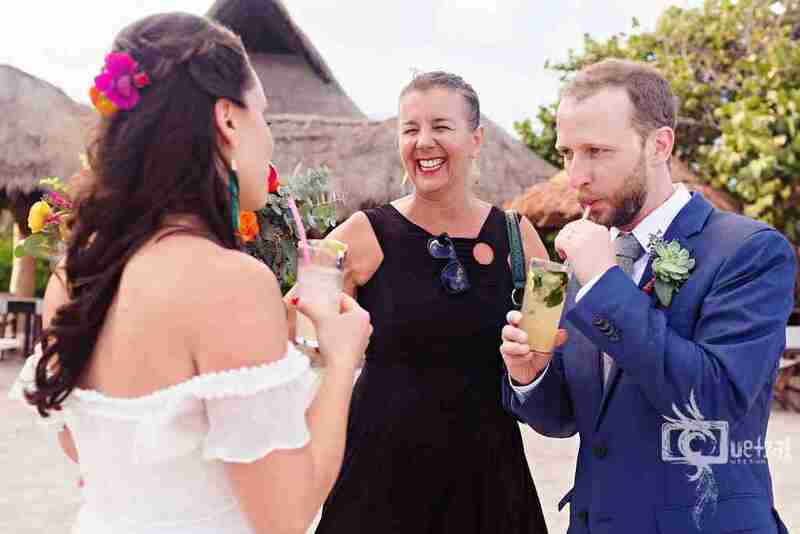 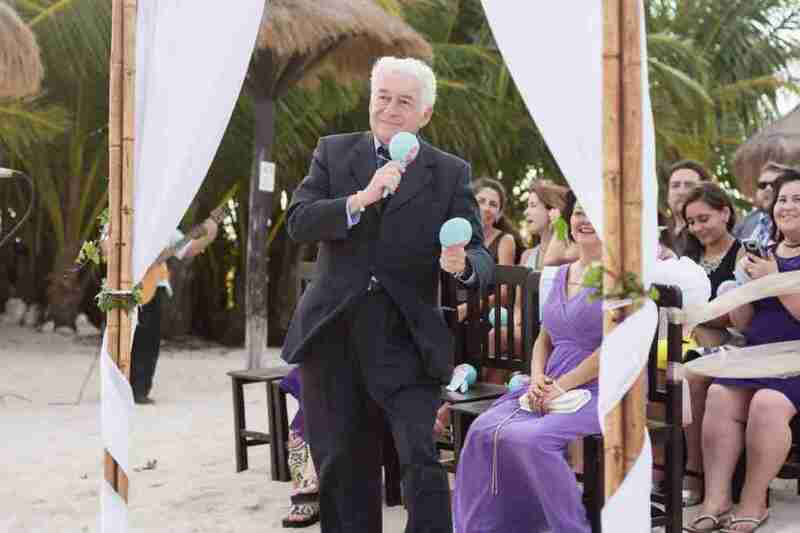 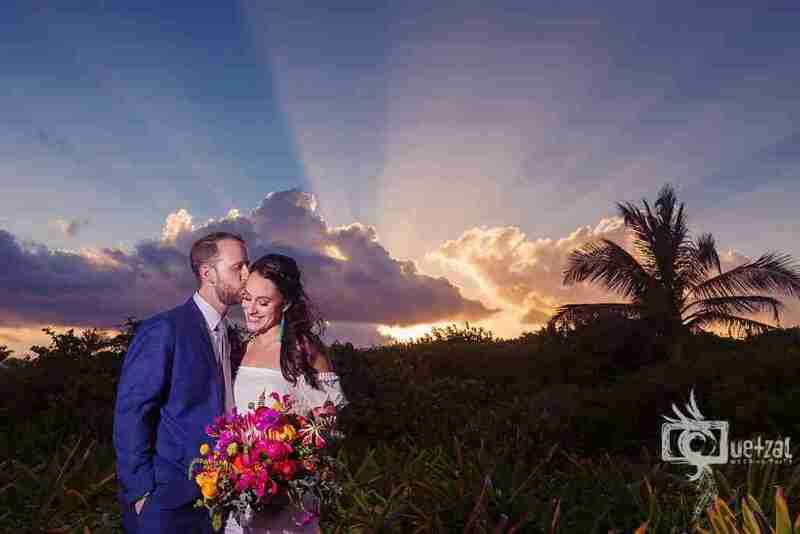 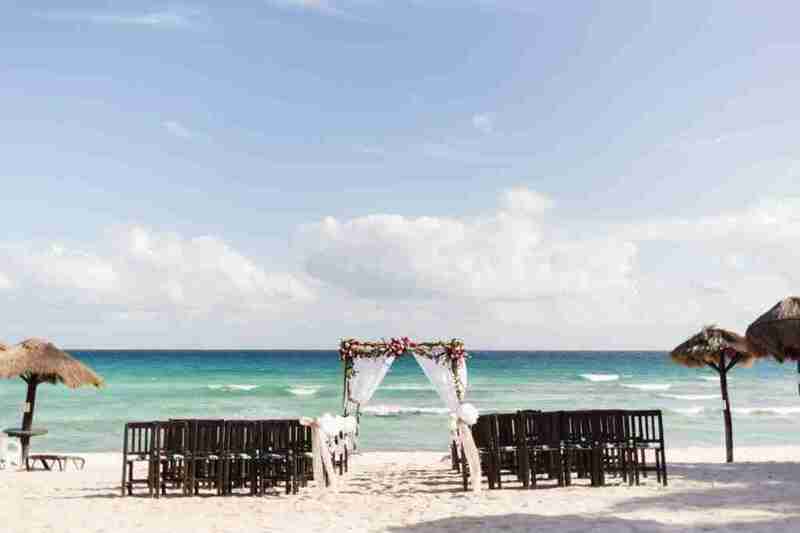 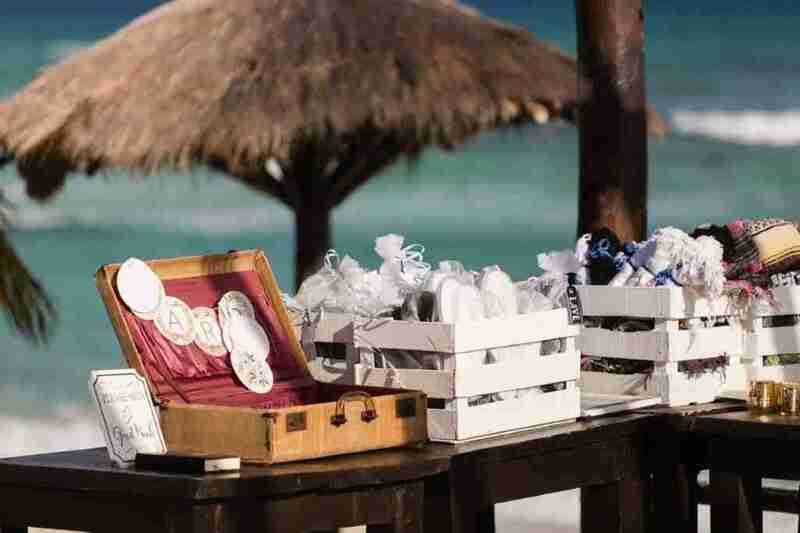 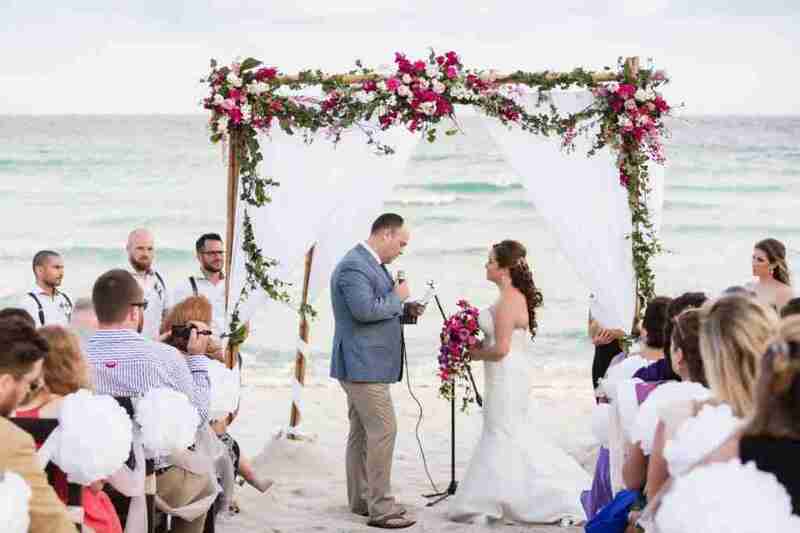 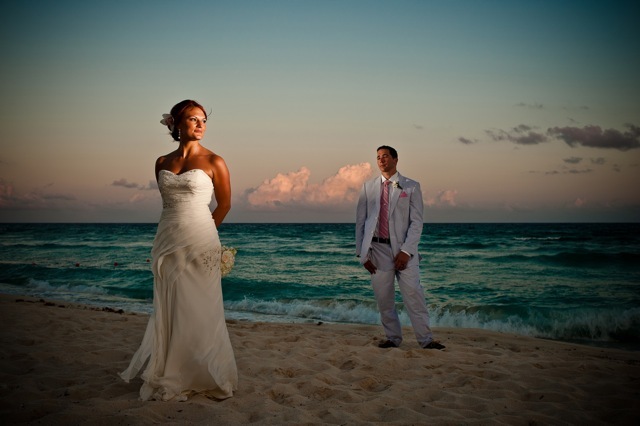 Just in time for spring, we present you with this bright and colourful destination wedding at Blue Venado Beach Club, a secluded beachfront venue about 15 minutes outside of Playa del Carmen. 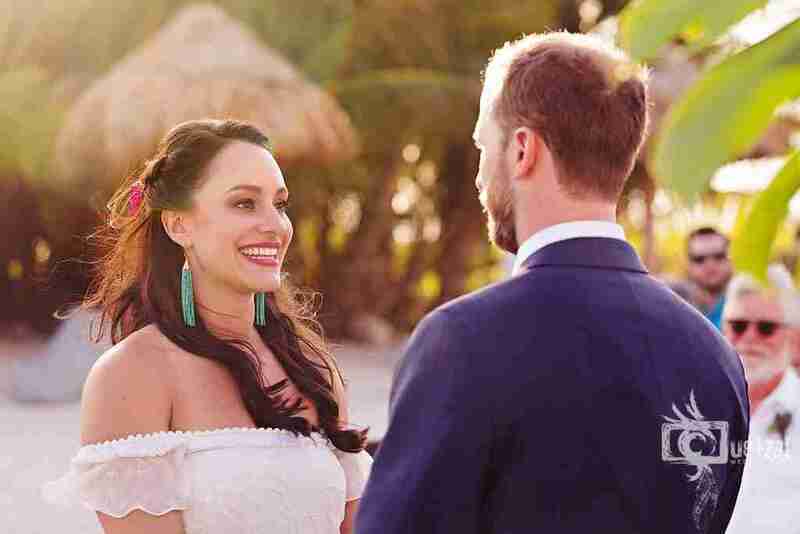 Glowing bride Heidi and her handsome groom Adrian brought their 40 happy guests to the Riviera Maya to celebrate their love and witness them exchange vows on the white sandy beach in Punta Venado. 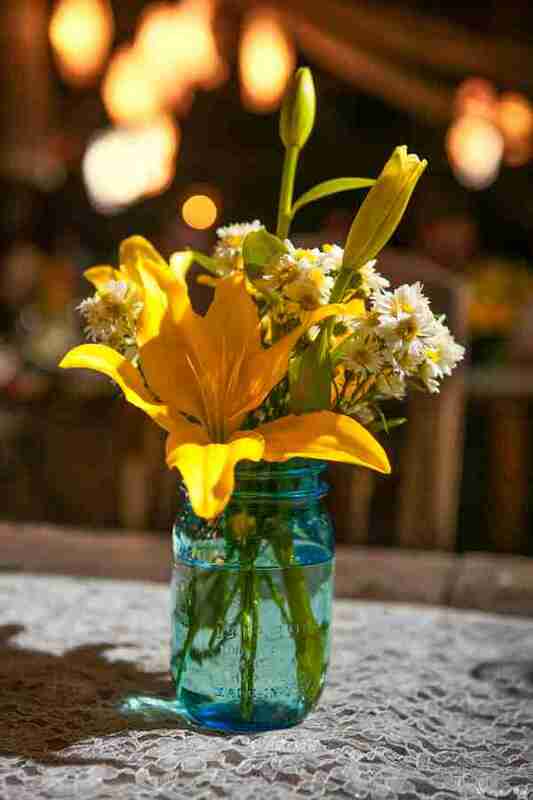 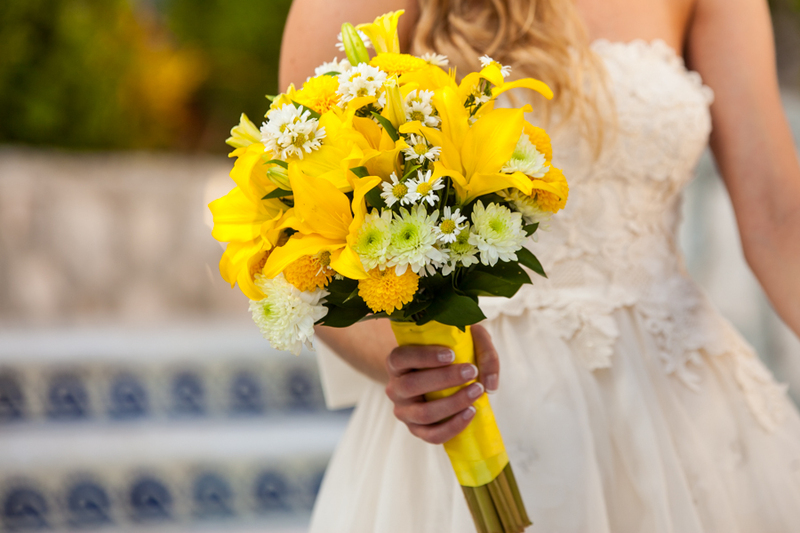 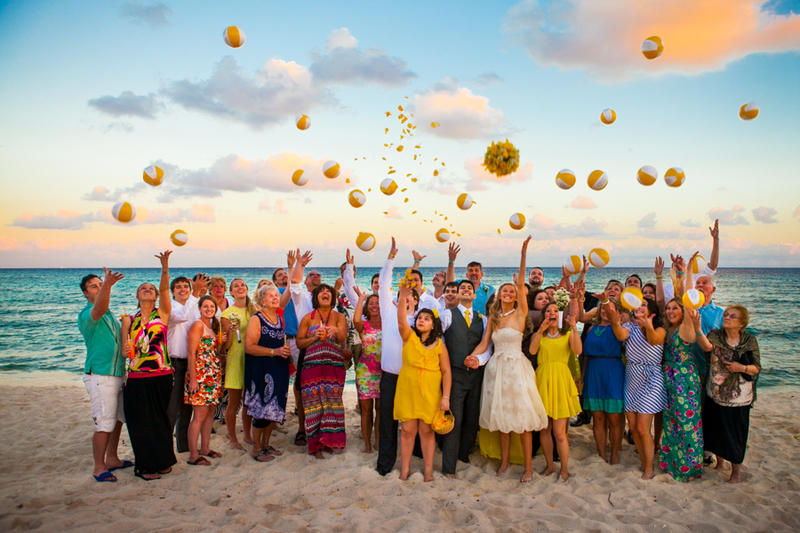 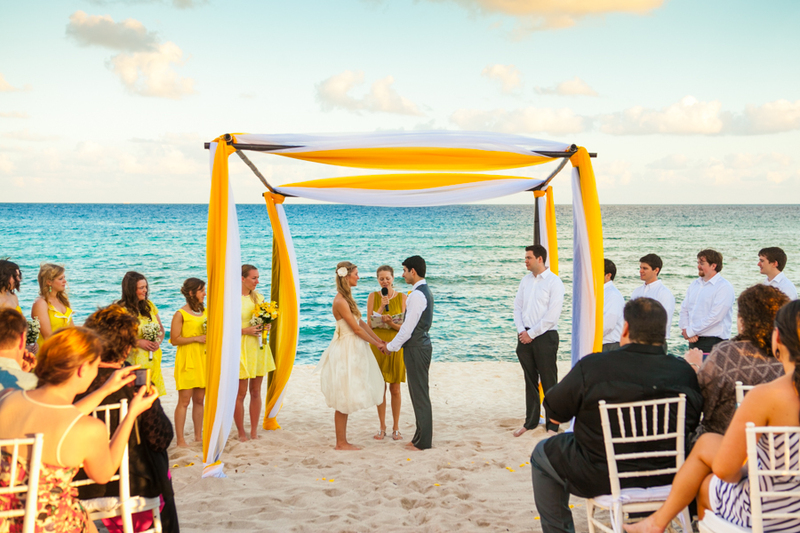 The vibrant yellows in this wedding just scream happiness! 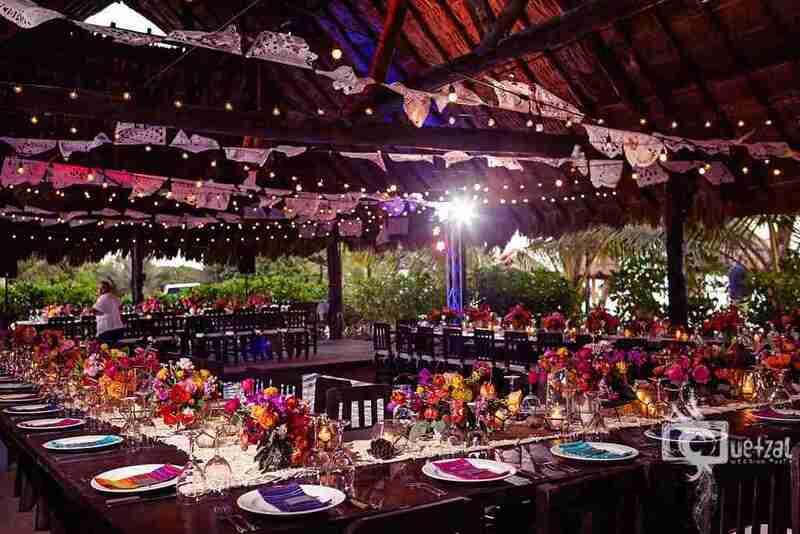 We loved the cheery decor and colours. 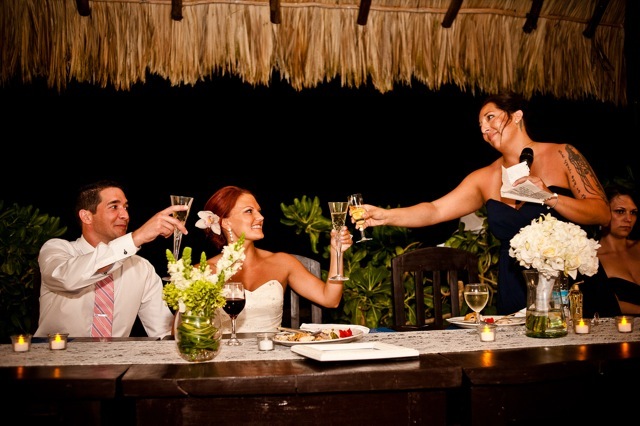 We wish the lovely couple many years of happiness and thank Naal Photography for so perfectly capturing the joy!